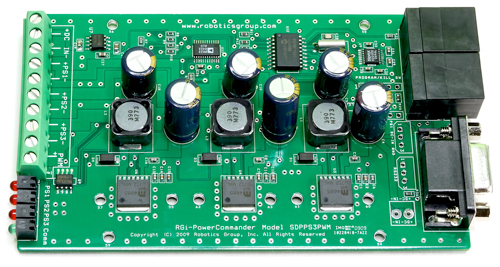 Use the RGi-SDPPS3PWM (RGi-Power Commander2.0) to power up to three different supply voltages, all programmable via simple commands. This allows you to use one battery to supply all your voltage needs. Program one supply to output 5Vdc to power your single board computer. Program the second to 9Vdc to power you camera and transmitter and you still have available an extra supply for any other needs. 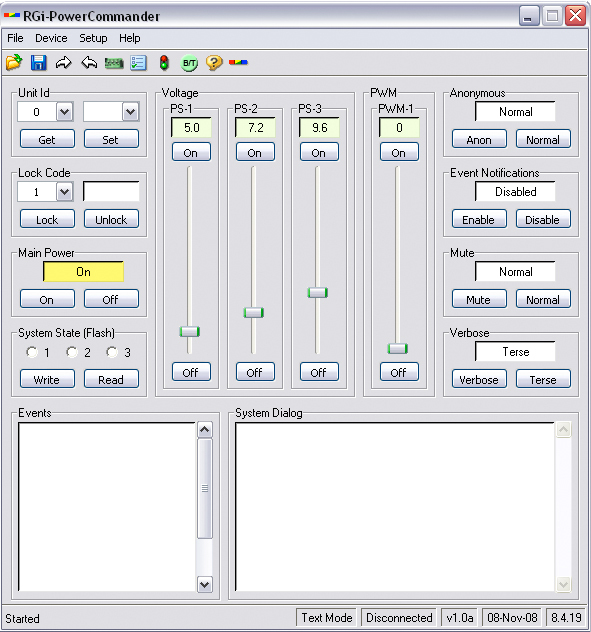 Flexible Command Interface You can program the supply via a simple ASCII set. Once you program the supplies you can “write” the current state to FLASH, the next time the system powers-up, it will automatically reload the saved state. 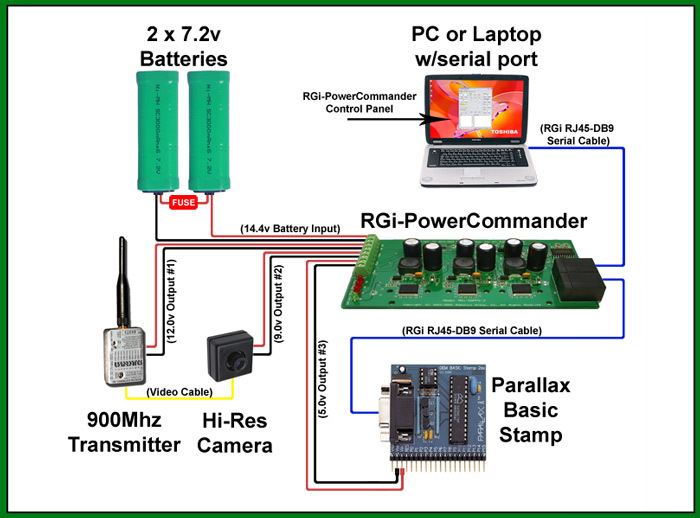 The RGi-PowerCommander can add smart power management to your system, by individually turning power on and off to your sub-systems, when needed. To protect the supplies from accidentally being reprogrammed, you can “lock” the device utilizing our pass code safety feature. Up to two power supplies can be connected in a chain, use the unit ID's to controlled them individually.